PNKA Class B52 0-4-0 No. B52 02 is in charge of the 07:18 train from Kudus to Rembang in northern Central Java, soon after leaving Djuwana. 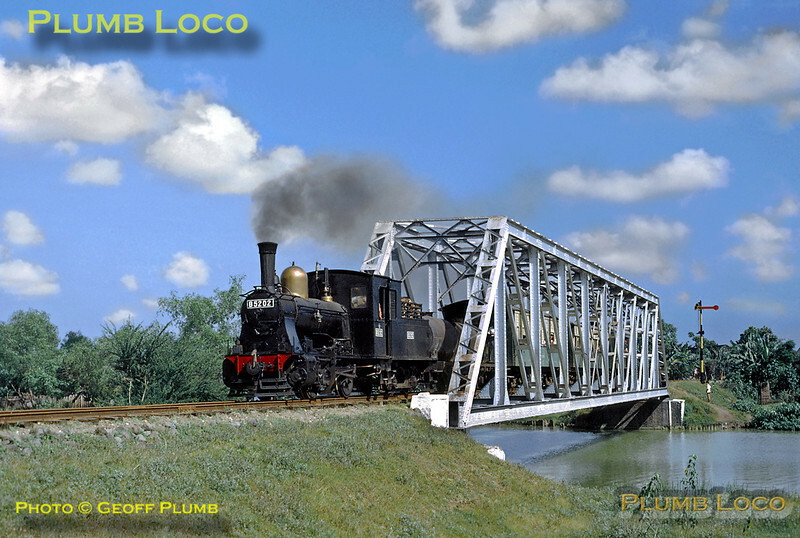 The loco was built by Hartmann in 1908, works No. 3314. Monday 23rd July 1973. Slide No. 11661.